Check out this short trailer! Men & women have different bodies. Different anatomies. And they have often trained in different ways. 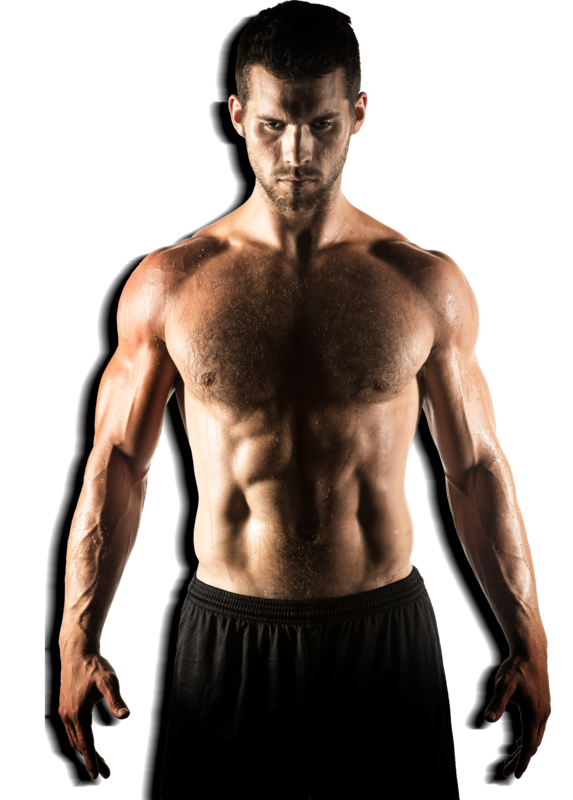 Dean is the ridiculously ripped guy you see on all of the covers and the chief yoga beast and co-founder at Body By Yoga. One of Amazon’s top selling authors on yoga, Dean is at the forefront of the surging yoga for men movement. In a world of yoga instructors that mostly focus on the female anatomy, we realized that traditional yoga classes often left men out. Because of our different anatomies, and because men and women have often trained differently, many traditional yoga poses can be challenging, painful, and sometimes, even impossible for men. Men have often focused on resistance and weight training which tends to produce tight muscles, specific join and ligament problems, and particular issues in the lower back. That is why when we set out to create the best instructional yoga workouts that we could, we started by creating a yoga series for men. We researched, tested, and tweaked our system with a beta group of male users. It took nearly three years, but when we were finished, we had a complete yoga workout system for beginners. We called it Guyoga – Beginner’s Yoga For men. But when we released Guyoga, we were absolutely floored by the amount of female comments we were receiving. It turned out many women were drawn to our no-nonsense approach to yoga. All of the workouts at Body By Yoga come with modifications for those who’s anatomies might prevent them from getting the full benefit out of yoga in a traditional class. Our unique take on yoga is designed for anyone who can’t touch their toes, anyone who has tight hamstrings, and for anyone who needs modifications that they probably wouldn’t get in a group class. Basically, it’s yoga fitness for the rest of us. It’s for those of us who don’t relate to the typical yoga lifestyle; for those of us that want a great workout without words and phrases like melting heart, and be one with the universe. It’s for those of us who have been curious about yoga, but might be hesitant to try out a local class. And that just happens to sum up a lot of men. But as it turns out, women were just as drawn to Guyoga as men were! 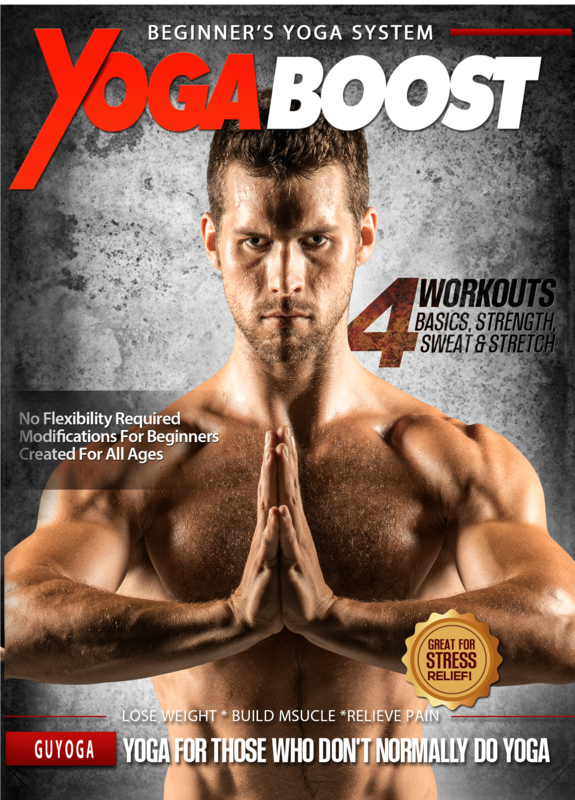 That’s when we decided to re-brand our video, and we changed the name from Guyoga to Yoga Boost. Same great content. Cool new name. When we loaded Guyoga with modifications for men, what that really means, is that we loaded it with modifications for anyone who has tight shoulders, tight hamstrings, and for those who may not be able to touch their toes. And we ended up with a product that is for everyone. It’s the perfect low impact workout. Ideal for anyone new to fitness. And indispensable for anyone who’s working out on the regular. Whether you are inflexible because you’re just getting back into shape, or because your muscles are tight from hitting the gym, you’ll find that with our modifications, absolutely anyone can do yoga in a safe, supportive, and low impact way. 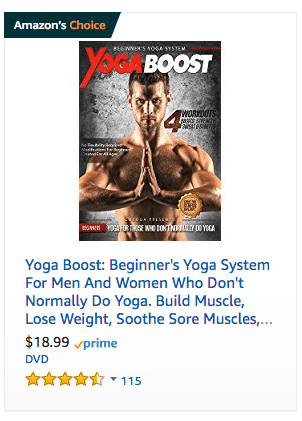 Yoga Boost is now one of the most highly reviewed & best selling yoga videos for beginners on Amazon. Want to see for yourself? Check out this sample clip from Guyoga, er, we mean Yoga Boost.